Sudbury, Ont., 1998: I had just completed stationary engineering at Cambrian College and employment was at an all-time low. I was only 18 years old, but eager to begin my life on my own. How would I do that if there were no employment opportunities? My friend was having very similar issues and jokingly suggested that we apply to join the military, at which we had a good laugh. Almost 20 years later now, I look back, remembering how young and naive we were. We have come so far and accomplished so much, if I had the chance, what would I say to my younger self about the journey I was about to embark on? It’s no surprise to anyone that I originally never wanted to join the military, let alone the third Battalion Royal Canadian Light Infantry. I had aspirations to be an engineer or a dentist, maybe have that cushy 8-4 job with benefits, vacation time, a nice little house with nice little kids and a wonderful wife, everything perfect and everybody always happy. You think you can relate? I think every Canadian can. Being part of the military is rarely any of these things. The military is a great struggle with great turmoil and challenges, putting your own life on the line and risking to sacrifice yourself, and even worse, your own family. Nobody told me any of these things back then. After serving in the military for 19 years, my life is still changing and evolving. I’ve been around the world, touching almost every continent, experiencing many cultures. Like many soldiers, I have an array of qualifications and I have been everything from basic foot soldier, to paratrooper to second in command, to lav crew commander, to section commander, to instructor and so on. I deployed to Bosnia and Afghanistan. During my deployment to Afghanistan in 2008, I had no idea how the consequences from that tour would lead me where I am today. Yes you read that correctly. I have been blown up, two times. 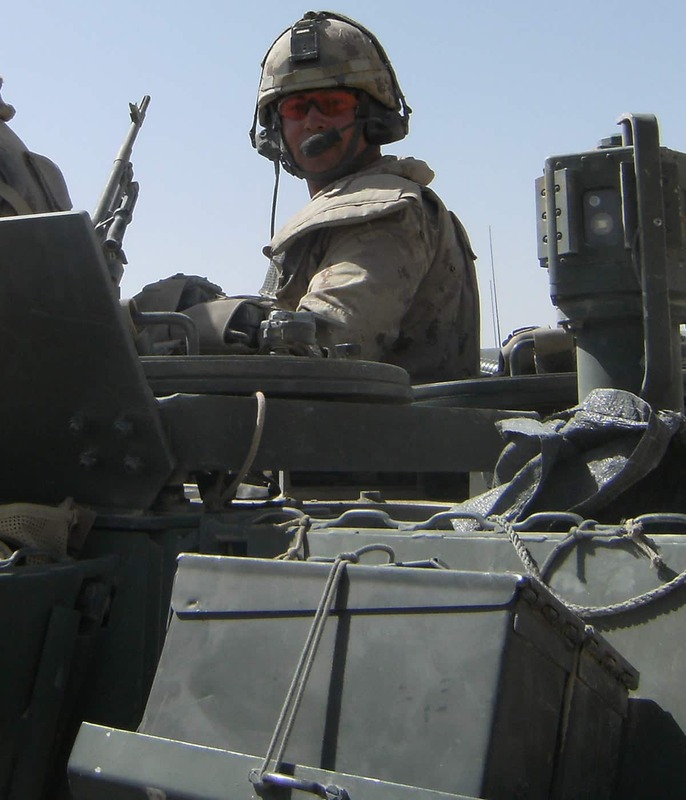 In September 2008, while on a mission, my platoon — call sign 22 (aka “double deuce”) — was surrounded by enemy insurgents, and my light armoured fighting vehicle was struck by multiple rockets, disabling it. Wanting to defend my men and platoon members, I climbed atop the vehicle and manned my C6 gpmg (that’s General Purpose Machine Gun). I had no idea just how close me or my men came to death that day, but years later, we talk about it and laugh. Things could have been so different. My actions that day earned me the military Medal of Valour, which was presented to me at Rideau Hall by Governor General Michelle Jean. Few people walk away from that close a call with death. Fewer still face it more than once. Dec. 5, 2008 at 3 a.m., we embark on another routine patrol. We are a company- sized unit, approximately 200 soldiers. I was second last in the order of march. Nothing seemed unusual, everything was routine. A few gunshots in the background, some radio chatter about enemy force movements, but nothing out of the norm. At 7 a.m., we received the order to halt, so we all moved off the small path we were travelling and took up standard defensive positions. At 7:30 a.m., we get the order to move on, and we do, and this is when my life changes forever. I step over a small dirt ridge and pop! I am suddenly flying through the air, not knowing exactly what’s happening around me, then slam! I’m lying in a large crater. I can’t see anything around me, and I’m covered in dirt. There’s yelling all around me and troops seem to be running in every direction. Suddenly my guys approach. They say “Don’t worry Mike, we are gonna get you the hell out of here.” I raise my arms and realize they are both smoking! My protective gloves are melted to my hands. My radial arteries are all slashed. They are spitting blood everywhere. I thought “Uh oh. Better just lie still, and keep calm.” The medics arrive and work on me frantically, placing tourniquets on both my legs and both my arms. It was at that time I realized that I had lost both legs. Guilt started to overtake me. How could I let this happen? I’m injured, my driver is injured, what will I say to his family if he doesn’t make it? What the hell do I say to his wife? What the hell do I tell my wife now that our lives are suddenly changed? Two blackhawk helicopters arrive on scene and whisk my driver and me back to Kandahar Airfield, where we are separated and sent into immediate surgery. Days later I wake up in a daze. I can’t open my eyes and my whole body aches. Oh lucky me! I am on life support. I remember a nurse coming into the room to speak to me. Of course, I chose to eat on my own. But I had to be hand fed. So there I was... both arms and hands in traction, both legs amputated and de-gloved, (i.e., skinned) PICC lines (think multi-purpose I-Vs) in my arms, force fed pain meds, hooked up to every machine known to man. I had already bled to death and died twice. I didn’t need a third time. My assisting officer came in the room with the phone and said, “It’s your wife.” I began to tear up, but tried to compose myself for an emotional call. I could not imagine what must have been going through my wife’s head: A knock at the door at 3 a.m., with officers and a padre. She could only think the worst had happened. She says, “Hi babe.” I say I’m so sorry for what has happened. She begins to cry, wondering why I said those things. I felt guilt, despair and terror that I had changed our lives. I really felt like I let her down. She told me none of that mattered, telling me, “I love you, and I’m with you forever.” And she was. And she is, and we still are together through thick and thin. Eighteen surgeries, 18 blood transfusions, having clinically died twice, I was finally back home in Canada. I breathed a sigh of relief. I spent 14 months in the Ottawa Rehabilitation Centre, learning to do everything again, from brushing my teeth, to shaving and, of course, walking. Imagine a tremendous pressure on both your limbs, squeezing extremely tightly, causing skin breakdown, rash, skin irritation and pain unlike no other. People tell me all the time that I make it look easy, but if they only knew the process I went through to get where I am today, they would be astonished. I had just finished up my last surgery, to save my right knee from amputation. This involved relocating arteries, nerves and tissue from my right arm to my right knee. The healing process was extensive and kept me house bound for more than a year. I had never felt so low or depressed. I received an email and a phone call inviting us to the launch of the Invictus Games in Toronto. Prince Harry and other dignitaries would be attending. Having been in such a dark and depressing place at the time, I said, What the hell, I’ll be there. I arrived in Toronto to be greeted by the athletes, some of whom I served with in the past. I immediately felt better, like I was in my element again. Cameras and lights surrounded everyone: television and journalists everywhere. Guess who is walking around, greeting everybody? Prince Harry himself. He asked me to share my story, and wondered why I was not on the team yet. I explained I had just gotten over a surgery and wasn’t cleared to participate. I am currently on the cycling and rowing teams and I have to admit that I love it. To be challenged by my coaches and inspired my fellow teammates, I really feel like I am part of the team again. Putting on my team uniform, donning the Canadian flag once more really takes me back to the days when I was a soldier, how I mattered and how I represented my nation. All the participants in the Invictus Games have sacrificed a great deal for their own countries. I feel wonderful that we can all come together during this inspiring event and compete together as soldiers again, representing the things we love so dearly. Whether we win or not matters very little. What matters most are our sacrifices to each of our nations and our people. To show them that we are still here for them.